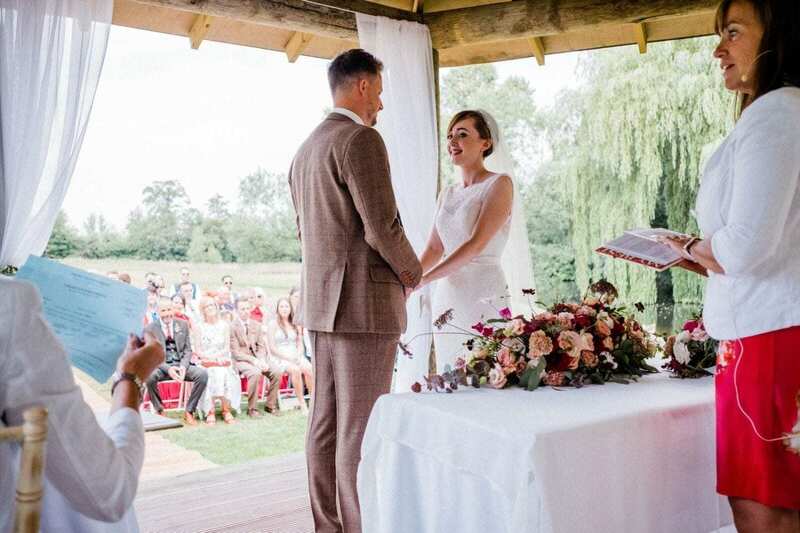 We couldn’t be more excited to tell you the wonderful story of Lewis and Becki and their beautiful day at our Essex wedding venue. 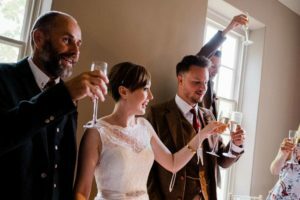 This very happy couple wed right here at That Amazing Place not so long ago and with their permission, we’re telling the story of their big day. Becki and Lewis met five years ago after having been introduced at a friend’s birthday party. It was when they met that night they discovered a myriad of connections, from mutual friends to where they’d both grown up. How they’d gone so many years without actually bumping into each other was a conundrum but one they decided to see as fate. They’d finally crossed paths and fallen in love. Here’s their story of love and finally saying, “I do”. When it came to the theme of their wedding, they wanted something to reflect their “quirky” natures and so avoided anything too traditional. They opted for a 1920’s vintage theme, which saw, “all the boys dressed in tweed suits with feather button holes. 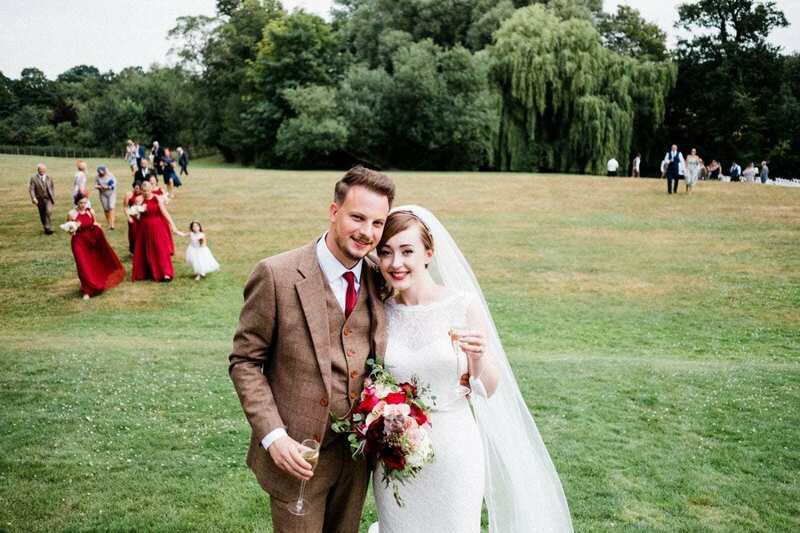 The bridal party wore maroon coloured dresses with feather and flower bouquets. We were keen to hold our wedding party in a manor house as opposed to a barn or marquee, as we felt it went well with the theme.” They even borrowed our candelabra’s for the table centerpieces, which were then draped in pearls to really create the 1920’s feel. Their flowers were supplied and arranged by a florist in Norpar Barns, Esta Bocking, The Workroom Florist. Going along with their quirky theme, they chose flowers combined with feathers. The happy couple were incredibly pleased with their floral arrangements and were even pleasantly surprised when Paul, the owner of That Amazing Place (not a lover of flowers himself) actually confessed to loving the arrangement on the staircase, only highlighting the amazing job their florist did. 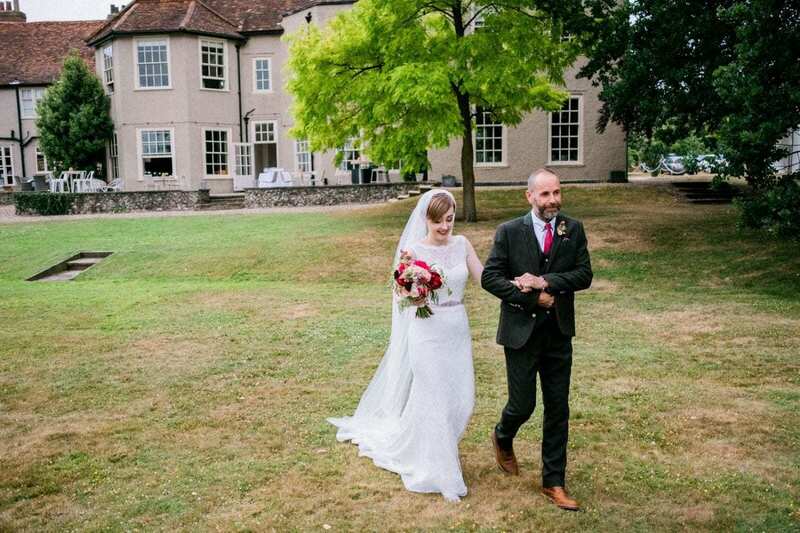 Becki chose her dress from a shop called Grace and Lace in Chelmsford. An American designer called Lusan Mandongus designed her dress. It was made of ivory lace and boasted an embellished belt with open back detail. The jeweled belt and headband were additional creations by the boutique and brought Becki’s vision to life. Here’s to the happy couple. 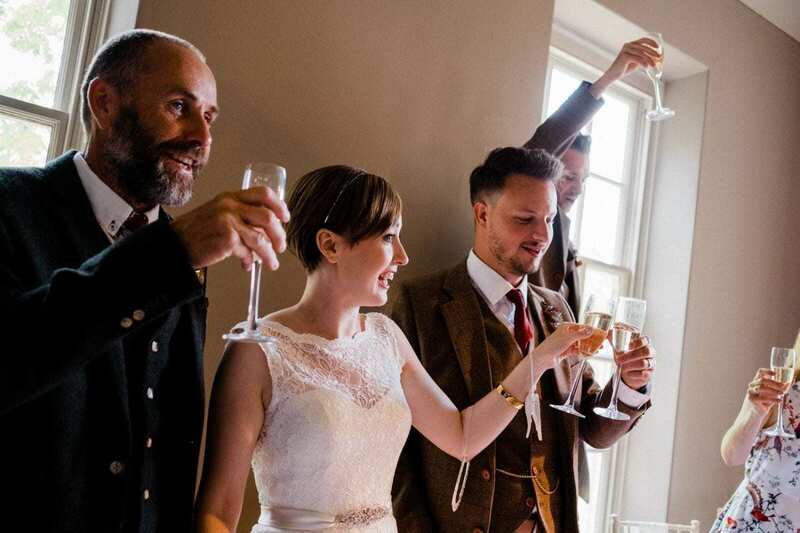 We hope you have many years of wedded bliss and hope to see you again here at That Amazing Place soon, perhaps celebrating your first anniversary? If you’d like more information on our Essex Wedding Venue, simply contact us today.